God's Two Words To You! This post contains links to download the 16 mp3 files for our series God's Two Words To You! If you use the Firefox web browser, you can use the free tool "Down Them All" to easily download these files... Thank you. 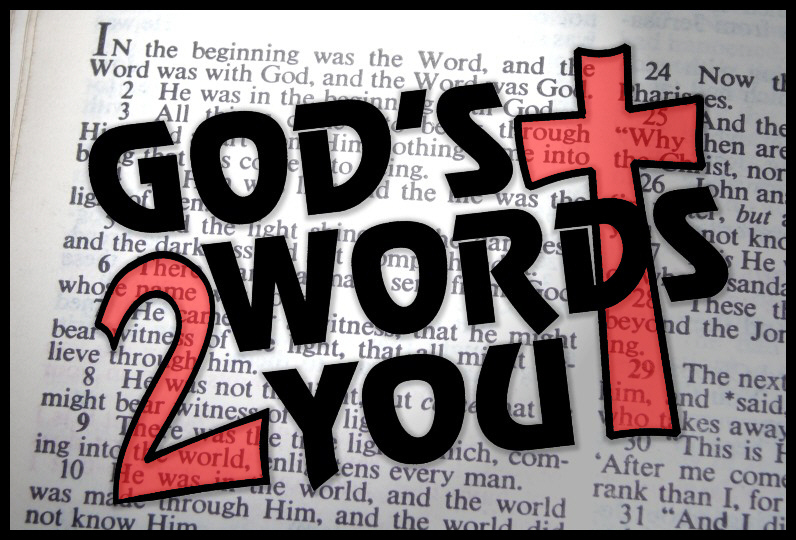 This page contains links to download the 16 mp3 files for our series God's Two Words To You! If you use the Firefox web browser, you can use the free tool "Down Them All" to easily download these files... Thank you. The ancient Grecian philosopher Socrates offered, “how we ought to live”, as a working definition of ‘moral‘. Did Jesus teaching reflect a good way to live, and if he did, what did he teach? Jesus’ moral code, revolving as it would have done around the part of the Bible we call the Old Testament, can be seen in “do to others, what you would have them do to you, for this sums up the Law and the Prophets.” Some people refer to this as the “Golden Rule“. However, Jesus, as ever goes further than anybody else and says that it is not only the outward actions of a person that makes them morally good, it is also the internal attitude behind it. I wonder what your name means. Parents usually name their children after the hopes and aspirations they have for that child. For example, the name John means "the gift of God". I know somebody called Grace, and her nature is that of somebody full of grace. However, in New Zealand, there was a recent court case whereby a 9-year-old girl wanted to change the name given to her by her parents, because of the embarrassment this name caused her. That name was "Talula Does The Hula From Hawaii". Another example of names being blocked in New Zealand was the naming of twins "Fish" and "Chips". My name of David means "beloved" and when my parents named me, it was meant to symbolize the love they had for me. Although when I put the cricket ball through the kitchen window or the time I crushed the vegetable patch whilst running after a football, I did not feel very beloved afterwards! When Jesus was born, his name imbued the very reason he was born. His conception and birth were extraordinary at every level. So important is our understanding of the birth of Jesus that no fewer than 4 angels come to give us a full picture of the event. Do you think that his parents, Joseph & Mary, or God, ever gazed upon him, and thought "How misnamed He is"! They did not, because they knew the very purpose for which He was born. Did Jesus ever think of how misnamed he was? Certainly not! His name means one who saves or a rescuer. The entirety of His birth, life and death were centered on this very role. His role was to save all those who would follow Him. He is the most talked about person in history. Almost everyone has an opinion about Him. He was born to confirm God's promises, to reveal God as a Father, and to be our representative before Him. He gave us an example of how to live a holy life to the full. He was not merely a man who received some special power. He was not some strange creation that was half man and half God, with his human nature somehow absorbed into the divine. He was, as we shall see, much more than those ideas! 2. Why would it be important for me to know about this Jesus? For more to think about, please read in the Bible, Matthew 1:18-25. As you read, write down here any questions that you have, so that you can discuss it with somebody else at some time in the future.